Please remember to view the full information about SAT in our PDF profile. There you will find additional information about scoring, test fees and registration, how to prepare, and where to find more information. You can also save or print a copy for your records. There are actually two SAT tests, the reasoning and subject tests. Most American universities require that entering undergraduate students take the SAT 1, the reasoning test. The SAT is also useful for studying in the Philippines. Also, SAT II in specific subjects is often required. If you also take the SAT II: subject tests and do well, you may be able to skip introductory courses in that subject area your first year in university. 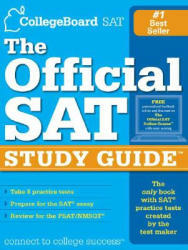 The SAT is administered seven times a year. You must take the exam by December for enrollment at an American university the following August or September. Note: you can take either the SAT I or the SAT II: Subject Tests on any test date, but you can’t take both on the same day. The SAT I: Reasoning Test is a three-hour, primarily multiple choice test that measures general verbal and mathematical reasoning skills that develop over time. It is divided into seven sections: three of the sections are verbal, three are math, and one is experimental. The experimental section can be either verbal or math. It is used by the test-makers for research purposes only and will not count toward your final score. The SAT II: Subject Tests are one-hour, primarily multiple choice tests in specific subjects such as French or Chemistry. Subject Tests measure knowledge of a subject and the ability to apply that knowledge. You can take up to three Subject Tests on a single test date.